In today’s world, looking at one’s smartphone or having your mind on other matters is very common. As a result, you can become distracted while walking, which often results in being hit by a vehicle. According to the National Safety Council, where a study shows an average of 500 distracted walking accidents per year in 2000, that number has jumped to more than 2,000 per year today. As a result, 80 percent of these accidents resulted in serious injuries. Since these situations can be very complex legally, it is important to contact the Orlando accident lawyers if you have been struck while walking. Who is at Fault in These Accidents? When accidents such as these occur, people often ask who was at fault. According to most personal injury lawyers in Orlando, drivers are almost always considered to be at fault in these situations. 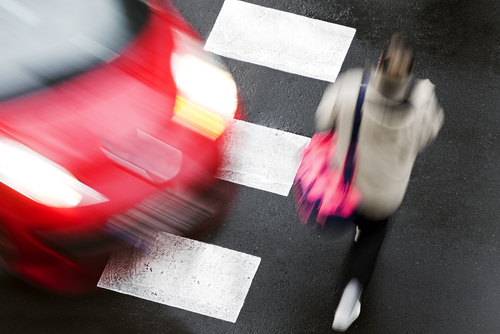 More often than not, pedestrians have the right-of-way when walking, and have the right to be able to do so without fear of being hit by a driver’s vehicle. However, it is important to note that if it can be shown you were distracted due to talking or texting on a cell phone, or perhaps were jaywalking or walking in an area where you should not have been, your case could get quite complicated. Therefore, always consult an Orlando personal injury attorney to discuss the details of your case. In these situations, a lawyer can help in many ways. Not only can they speak to witnesses, but they can also examine police reports to see if the driver was under the influence of drugs or alcohol, or perhaps has a history of similar accidents. Whatever the case may be, contact an Orlando accident attorney as soon as possible to ensure you gain the financial compensation you deserve to help cover the costs of medical expenses and lost wages.